Liquorice plant or as it is called liquorice is recommended for alleviating inflammation and encouraging expectoration, and is also known as a good natural sedative that reduces the effects of stress. For these purposes the most used is liquorice tea, whose recipe we will be happy to share with you in this article. What are all the benefits of these herbs read bellow. Liquorice is a plant whose medicinal properties have been known since ancient times, but it was used in the treatment in a number of ancient cultures. It grows in various parts of the world, from the eastern Mediterranean to Southwest Asia and can be found on the sandy banks of the Danube and Tisza. Liquorice plant is a perennial shrub whose branches partially become stiff and reach a height of 100-150 cm. The root of it is very strong and branched, brownish outside and inside light yellow, the leaves are odd in number and have a feathery complex, while the flowers are dark purple colour and form cluster blossoms on top of the stem and in the axils of leaves. The fruit is in the form of flat green beans. In phytotherapy the root is mainly used, and it is used in the food industry, mainly in the production of sweets and beer. To us particularly interesting is liquorice tea, whose application is manifold for various diseases and health problems, such as stomach ulcers, anxiety and depression and even if you lose hair. It is a great choice for women in menopause, because it brings back confidence and good mood, it relieves pain in joints and muscles and liquorice plant is a great fighter against viruses and bacteria, and stimulates coughing and speeds healing. Besides many vitamins (E, B5, B3, B2, B1) and minerals (calcium, iron, chlorine, phosphorus, zinc, magnesium and selenium), it is rich in flavonoids and nutrients. Because there are many drug substances in liquorice root (flavonoids, steroids, essential oils, ascorbic acid, etc. 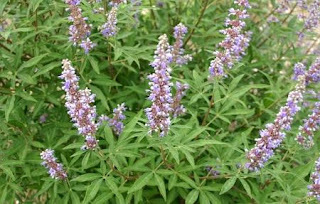 ), which was earlier discussed, this plant can be used to relieve various conditions. Today it is best known by its expectorant effect - makes it easier to cough up the thinned mucus in the airways, but because of the many ingredients that soothe the nerves, liquorice plant can also be used to relieve stress and depression. It is very effective in the case of ulcers, prevents the propagation of viruses and their spread in the body - but especially it is recommended in the case of colds and flu (especially in combination with, a shout lemon balm and juniper). We need to point out its very important role in maintaining hormonal balance. Experts believe that natural ingredients in liquorice mimic the female hormone estrogen, so it is very beneficial for menopausal women because it reduces night sweats and hot flashes up to 80%, allowing easier and better sleep. This plant contains a substance that prevents the conversion of testosterone to dihydrotestosterone, responsible for hair loss in men. Significantly, it has an anti-inflammatory effect - liquorice tea is very effective in cases of inflammation of the stomach and helps with atopic dermatitis and eczema. Out of liquorice you can make a variety of natural remedies but in practice liquorice tea is most often used as stated before. Pour 2 tablespoons of marshmallow root and half a teaspoon of liquorice root with 5 dl of boiling water and let it boil for 20 minutes. Remove from stove and add a teaspoon of lemon balm, mint spoon, a slice of lemon and a tablespoon of honey and leave it covered to stand for 15 minutes. Strain and drink up to two cups a day. Children can be given a tablespoon of syrup. Liquorice syrup is consumed for several days, while the flu lasts. Mix 100 grams of liquorice and 50 grams of chamomile, lemon balm and mallow, and two tablespoons of mixture pour with 6 dl of boiling water and leave it covered to rest for at least 2 hours. Filter well and drink throughout the day in small sips. Flavonoids from liquorice are excellent fighters against Helico bacteria, they soothe and relieve heartburn and have a preventive effect on the gastric mucosa and they delay the occurrence of ulcers and many other problems. Wash thoroughly 60 g of fresh liquorice and 30 grams of dried tangerine peel, and put in a ceramic pot in which there is 200 g of sugar. Cook for 30 minutes, then strain. Again boil the roots and dried tangerine peel for 20 minutes, then drain again and add to the previously made tea. Repeat once and mix all three teas. People who suffer from chronic sore throats can drink twice a day a gin glass of tea. Mix the 50 g of elder plant flower, liquorice, thyme, rose hips and calendula, and full tablespoon of the mixture pour with 5 dl of boiling water and leave it covered to stand for thirty minutes. Drink filtered during the day. For the same purpose and to restore energy, you can make tea with liquorice, cinnamon stick and a little local honey. Drink it every day. This recipe is recommended during the upcoming cooler autumn days, when we are mostly indoors and less serious. Mix a teaspoon of liquorice root grinded into powder with 3 tablespoons of local honey. Divide it into three parts and take in the morning, at noon and in the evening one tablespoon of the mixture. Liquorice plant is very good for this condition. It eases breathing problems, provides good expectorant by expelling phlegm and helps with bronchitis and inflammation of lungs. Instead of this recipe chewing on a small root of liquorice will also help. It will alleviate inflammation of the throat and upper respiratory tract, it is also a good practice to gargle the liquorice powder, dissolved in a glass of plain water. Make a mixture of two tablespoons of ground liquorice root, four tablespoons of milk and add a pinch of saffron. Smear on problem areas - and on all places, wherever you notice that your hair is thinning, especially the top of the head – use at bed time. The hair after a few weeks should begin to grow and scalp should recuperate. This is an old and proven recipe against hair loss. This hair mask is equally good and will eliminate dandruff, when you need to regularly rub it into the scalp, leave it on for some time for mask to work, and then rinse with water. Today, the liquorice plant is readily available in larger centres and better-stocked pharmacies. It can be found in health food stores as well as via the internet. Take into the account what you are buying and ordering, always be well informed about it. Some manufacturers of liquorice mix it with artificial sweetener and extract of anise and you should always try to obtain liquorice root, which has no other impurities, otherwise it reduces its healing properties. Extra caution should be taken in consuming liquorice by people with hypertension, nursing mothers and pregnant women. If liquorice tea is drunk more than three times during the day for longer period of time, it can cause water retention in the body and increase the blood pressure, so take care of that. Liquorice plant requires caution, although there are no documented side effects it should not be combined with other drugs.